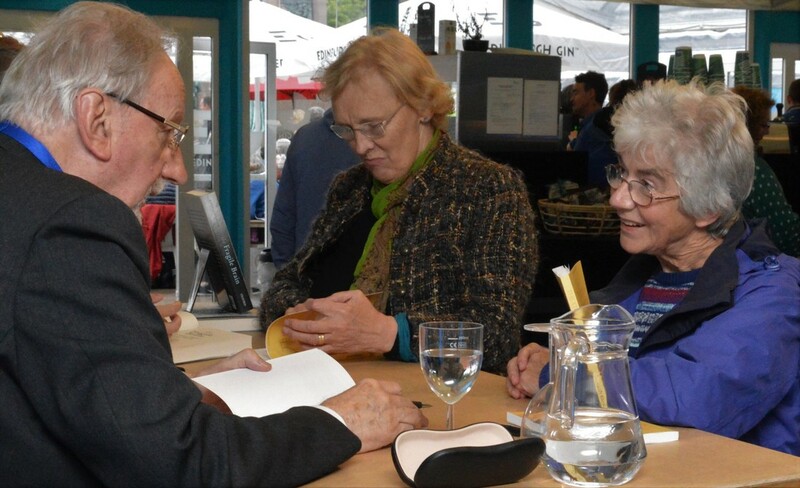 On Friday 23rd August, 2017 John took part in an event at the Edinburgh International Book Festival featuring his new book, The Story of Dementia, (published by Luath Press). Alongside him was Kathleen Taylor talking about her recent book, The Fragile Brain, (published by Oxford University Press) and the event was chaired by Sarfraz Manzoor. 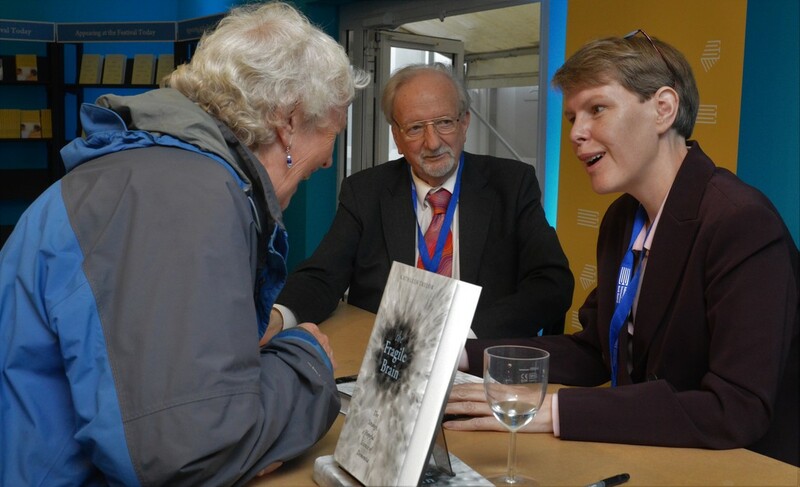 This was John's second appearance at the book festival in the last few years (the first focused on his book Dementia Positive), and we had a lovely time meeting Kathleen, and getting together with lots of our friends from the dementia world. We were especially pleased that Mary Marshall (talking to Kathleen in bottom right picture), who features in The Story of Dementia, was able to join us for this occasion. On National Memory Day (18th May, 2017) John joined with Maria Parsons from ​Creative Dementia Arts Network to read poems by people with dementia in a shopping centre in Oxford. Their small audience was most appreciative! We were absolutely delighted to have an audience of about 30 people for this reading which was part of Luminate, Scotland's creative ageing festival. The following words come from Jennifer Williams, Programme Manager at the Scottish Poetry Library, and you can see some excerpts from the reading below too. "I was very moved by the reading given by John Killick and Ishbel McFarlane of poems written by people living with dementia at the recent Singing Under Our Breath event, part of the Luminate Festival and hosted by the Scottish Poetry Library. John shared a narrative that supplied the background information needed to help listeners to understand the origins of the poems, and Agnes Houston, who has a diagnosis of dementia, read and discussed the poem which she had composed. Both main readers gave clear and touching performances of these powerful poems. One poem, by a woman who in her youth had been a model, nearly had me in tears as she described her lost beauty and independence with such clarity. One way or another nearly all people will be touched, if not haunted, by the toll ageing takes on our minds and bodies, and these poems brought feelings and stories about this process to life with humour, beauty and poignancy. Great poetry, and important work."